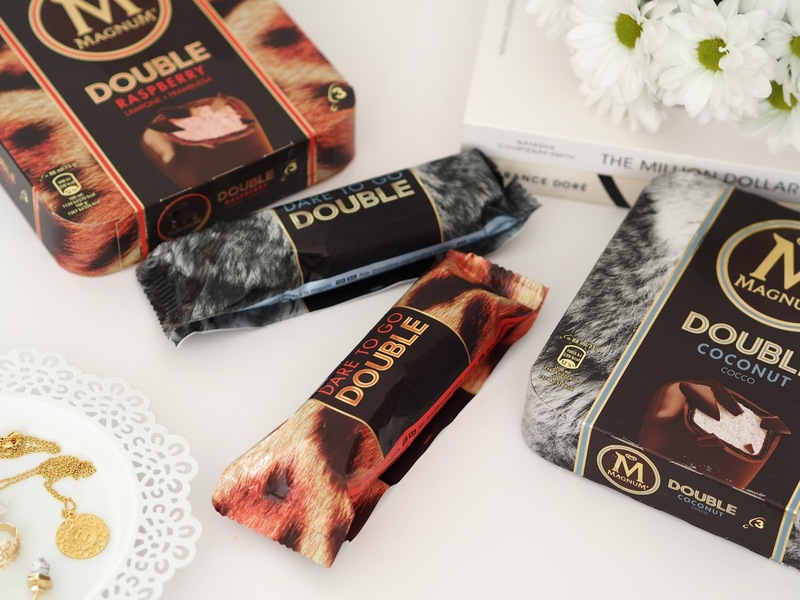 Magnum have added to their Double Collection which already consists of Double Chocolate & Double Caramel, apparently there is also a Double Peanut Butter one but I haven't actually tried that yet! 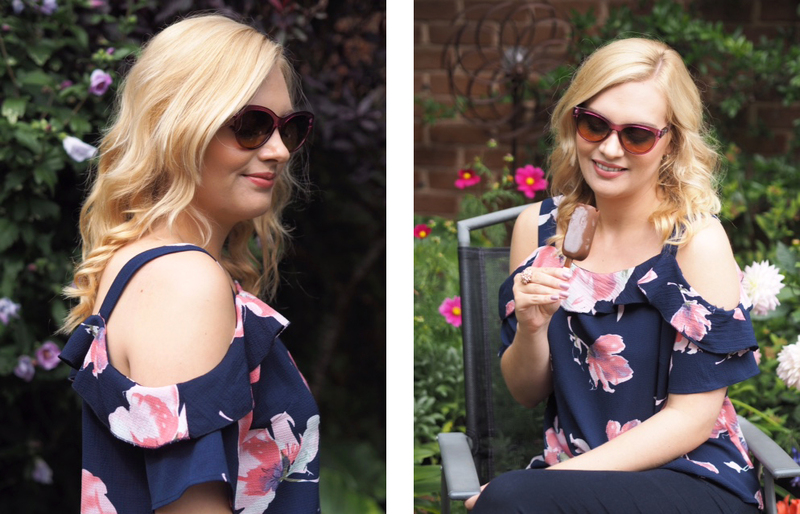 There's nothing more blissful than tucking into an ice cream whilst sat outside in the summer sunshine. My favourite things about these is the hidden sauce layer between the chocolate, it's delicious and makes them extra decadent I think! More often than not September ends up being nicer than August so I have high hopes for an Indian Summer this year and another little heat wave to ease me into Winter! 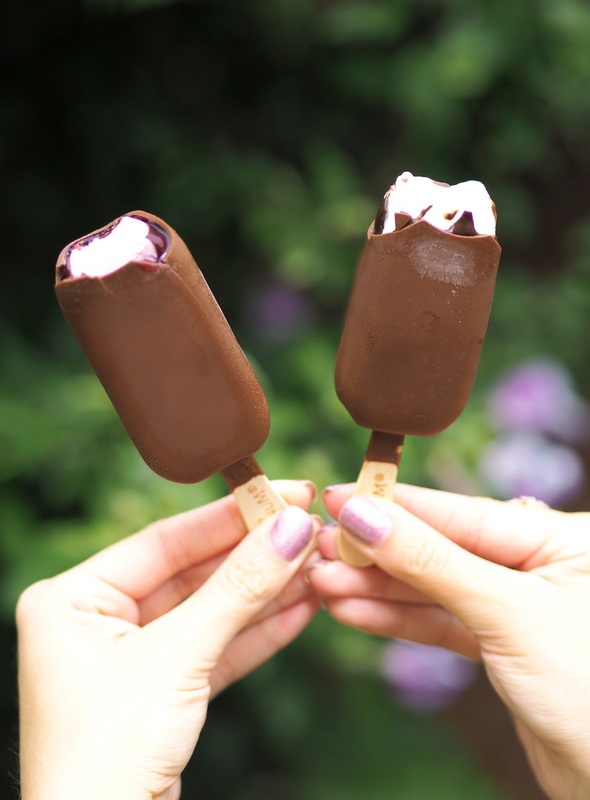 "Luscious ice cream dipped in a chocolatey coating and layer of sauce, all covered in cracking Magnum chocolate. Our most indulgent ice creams ever." Double Raspberry | I love raspberries so I think this tangy, fruity creation is delicious! I think chocolate and raspberries match really well together. Slightly more refreshing than the coconut one with a hidden layer of raspberry sauce, this would be a good one to reach for after lunch. Raspberry Bliss - "A little berry full of fruity indulgence. Every juicy bead bursts with flavour. The perfect balance of sweet and tart to satisfy taste buds and put a zing in your step." 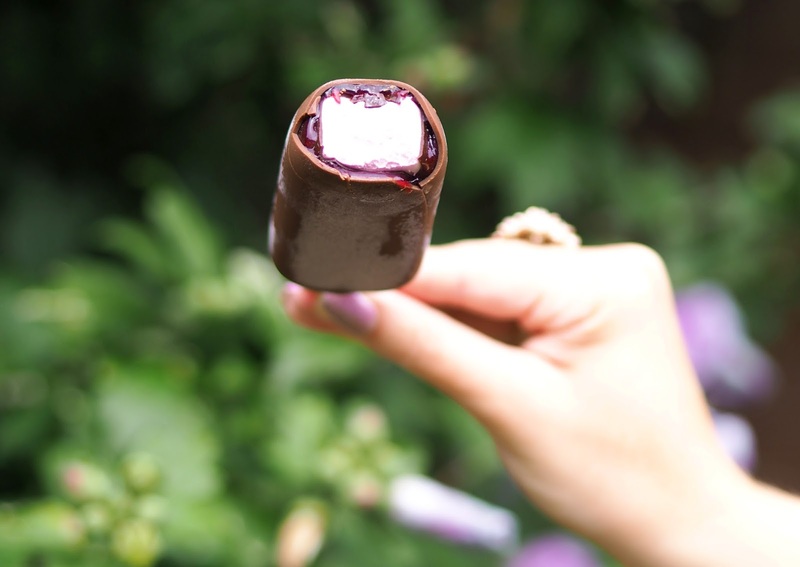 "Luscious raspberry ice cream dipped in chocolately coating and a layer of tangy raspberry sauce, all covered in cracking Magnum chocolate." Double Coconut | I love how Creamy and indulgent this one is, even more so than the raspberry! Coconut always reminds me of holidays and with a hidden layer of chocolate sauce this one really hits the spot when you need a sweet pick-me-up (happens to me everyday!). Coconut Crush - "Intensely sweet and creamy. The aromatic scent of coconut will whisk you away to dream on sandy shores." 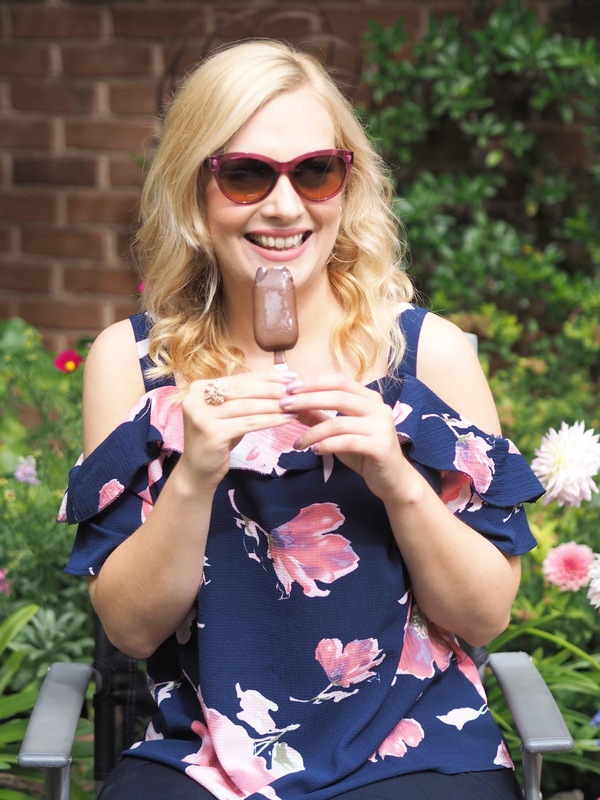 "Velvety, smooth coconut ice cream dipped in a chocolately coating and a layer of luscious chocolate sauce, covered in cracking Magnum chocolate." I literally cannot get enough of these at the moment and you know what I say - "An ice cream a day keeps me a happy KK!" 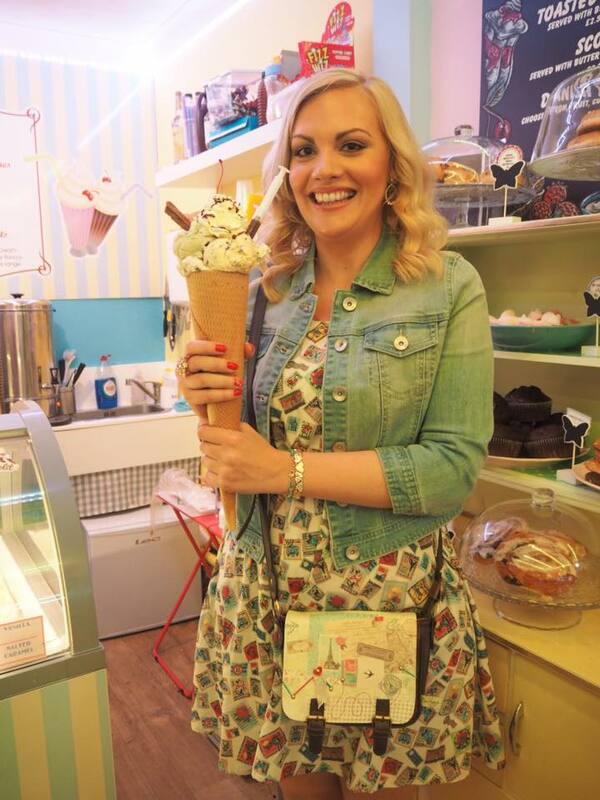 and it is SO true when it comes to these ice creams, I may have to compromise by staying longer at the gym though! 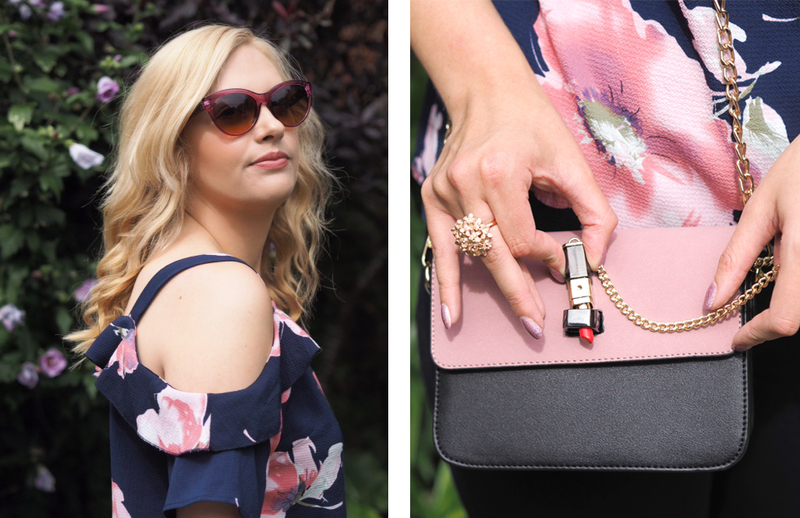 Outfit Details: Cold Shoulder Top | Bag* | Capri's | Sunglasses | Rings. 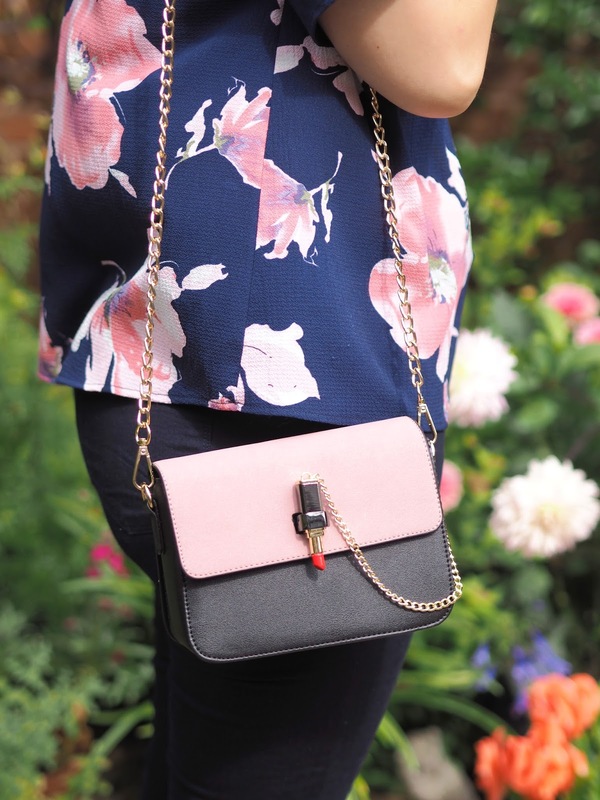 How cute is this little Lipstick Cross Body Bag by ilymix?! I just couldn't resist it, with it's pastel pink top, gold chain and lipstick charm fastening I think it's going to get a great deal of use! Get 20% OFF this bag & any of the other unique accessories that take your fancy on ilymix using my Code: 'KK20' at the checkout.This bag comes in 4 different shades and they also stock sunglasses & a great range those super popular slogan summer hats! My top is one of my latest purchases from Quiz Clothing. 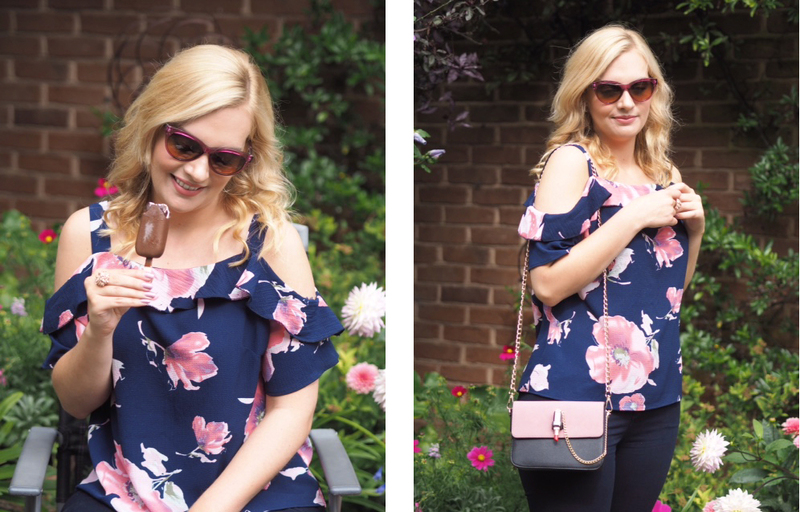 I'm loving the cold shoulder detailing, ruffles and floral print, not only does it make is so girlie and pretty but ticks multiple trends in one! Have you tried these little packs of ice cream yumminess yet? Let me know which is your favourite!